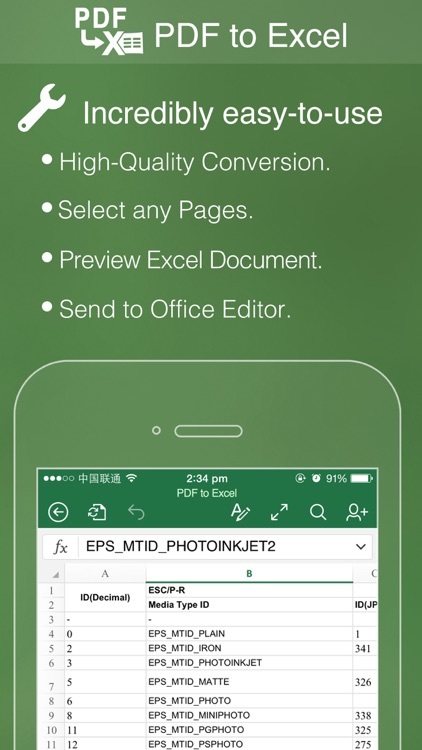 PDF to Excel Pro by Flyingbee Software Co., Ltd.
Flyingbee PDF to Excel Converter convert PDF to Excel documents quickly and efficiently. It convert PDF file back to editable and modifiable Microsoft Office Excel spreadsheets with well-preserved original texts, layouts, font style, tables. And you can easily edit, reuse and calculate the data in output excel(.xlsx) documents. 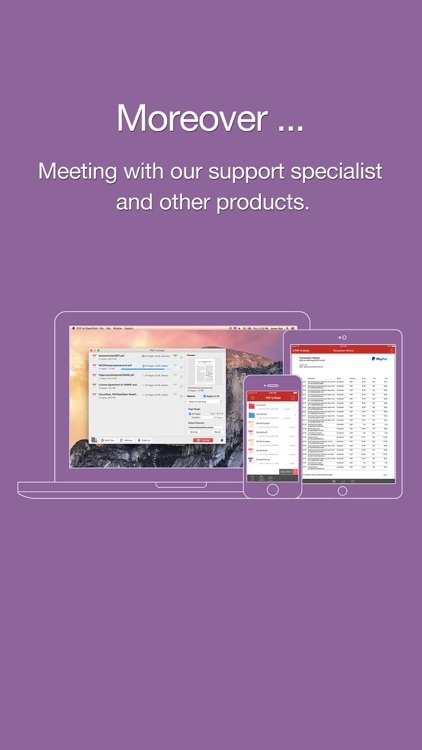 It support opened in popular mobile office editor app(such as: Microsoft Excel iOS, Polaris Office, WPS or QuickOffice). 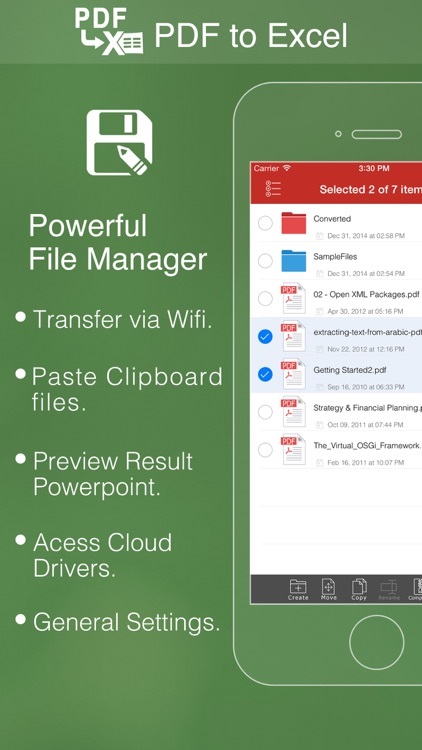 • Easily import PDF, convert a 50 pages PDF to Excel within 20 secs, Extremely fast!! 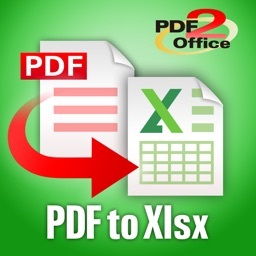 • Output well organized Excel content, preserving content layout, the color, font style, tables remain the same as the original pdf document, Very convenient tool, Reusing the presentation cannot be easier. 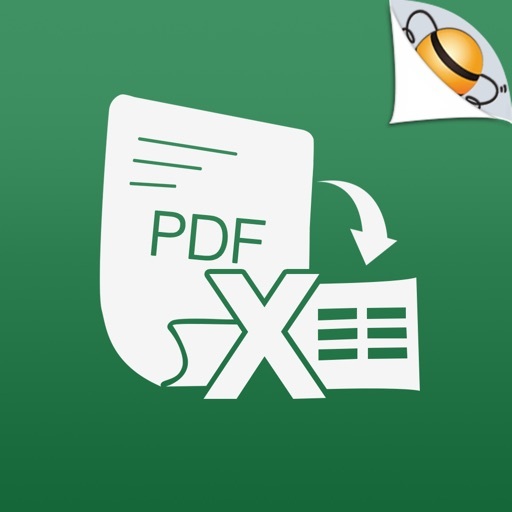 Notice: Currently PDF to Excel version don't have OCR function, the scanned PDF files will be extracted to image in Excel xlsx. 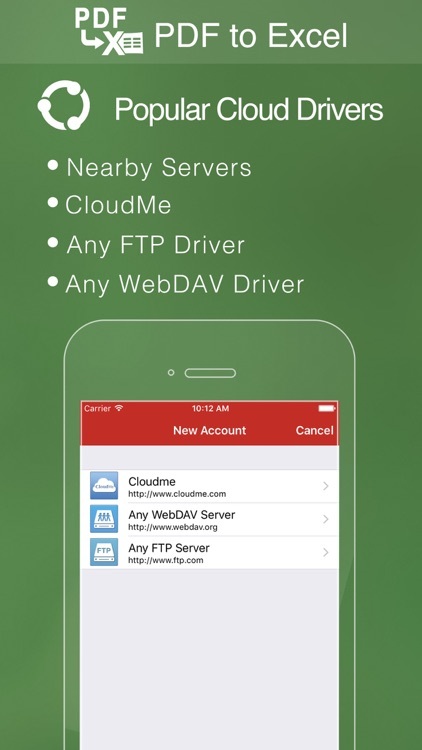 However, we suggest you to use other professional OCR app to recognize editable text from image. The PDF file format is complex, there are cases that text in a PDF file are actually pictures. 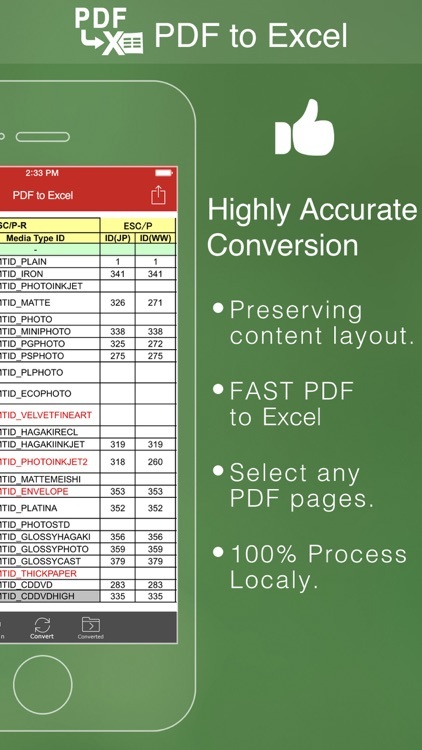 We do not grantee PDF to Excel will work for every PDF file, especially ones that have picture text, we suggest you to use our professional OCR app to recognize text from image.